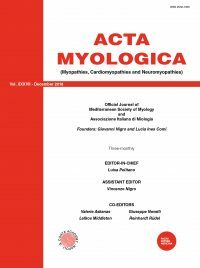 Acta Myologica is the oldest international myology journal, with its first issue published in June 1982 with the name of Cardiomyology. At present, it is the official journal of the AIM (Associazione Italiana di Miologia) and of the Mediterranean Society of Myology. 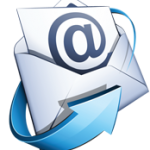 Starting from the next issue (October 2016), Acta Myologica will become fully online with an electronic submission process and a completely free web-based access. Our purpose is to renew this historical printed journal devoted to clinical and molecular myology by disseminating new knowledge through electronic media platforms. Acta Myologica Online (AMO) will publish readily accessible research and ideas that have clear relevance for diagnosis and treatment of muscle disorders, with a special focus on neuromuscular disorders and cardiomyopathies. AMO will pay attention to the peer review process by accepting articles with consistent new findings in the myology field or clinical reports of patients from countries that have limited presence in the scientific literature. The renewal process will be ongoing over the next issues and will not be limited to graphic form, but will invest the way to present the scientific contents in order to make them more suitable for computer reading. For example, the text of each section of results will be shortened and always coupled to a figure, without a strict limitation in total article length. This will increase the use of the figures in each paper, by improving the readability. For review articles or for the discussion in a scientific report, one or more graphical abstracts will be required to illustrate the main points. A special section will be created to host “sponsored articles”. Authors, sponsors, and medical education and communications companies may publish medical information, but only in the form of a peer-reviewed manuscript. Requirements for author designation will be based on guidelines of the International Committee of Medical Journal Editors (ICMJE). We are confident that AMO will be a better-suited tool for a new season of exciting myology research.